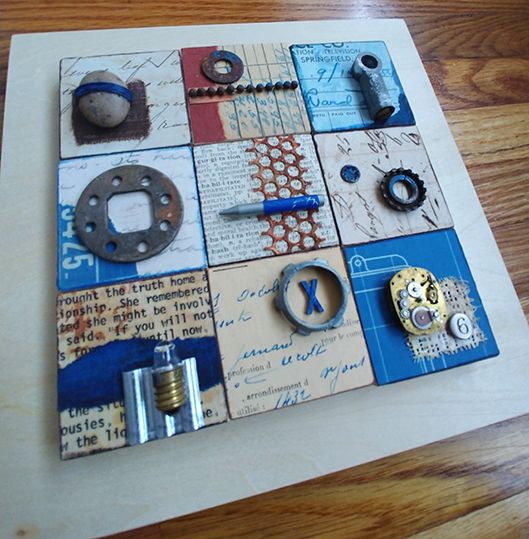 This is the last in a 9-piece “Constructed” series of paperless collages made from found objects and building material samples. 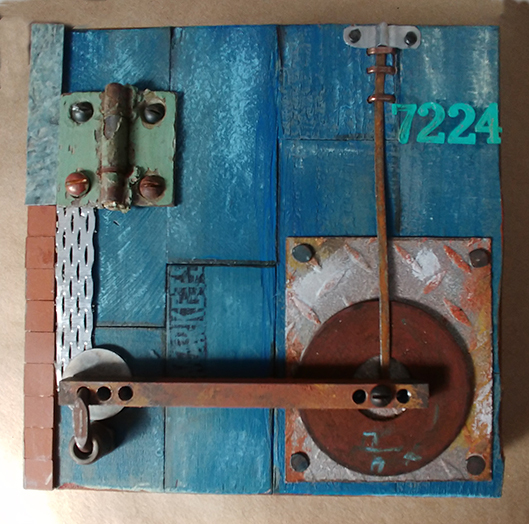 Constructed from found hardware and building material samples, this piece is the seventh in the “Constructed” series of paperless collage mixed-media assemblages. 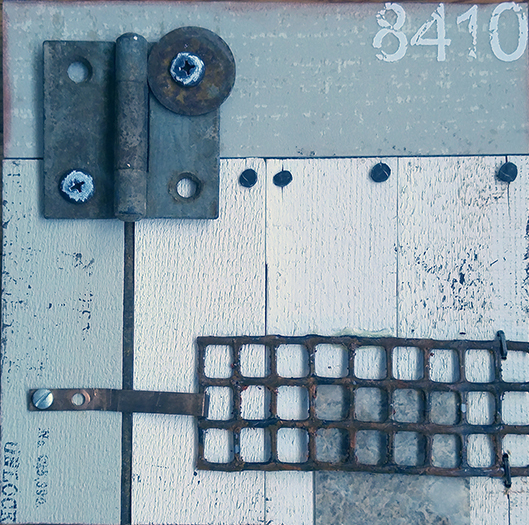 This is the seventh installment in the “Constructed” series of paperless collages. 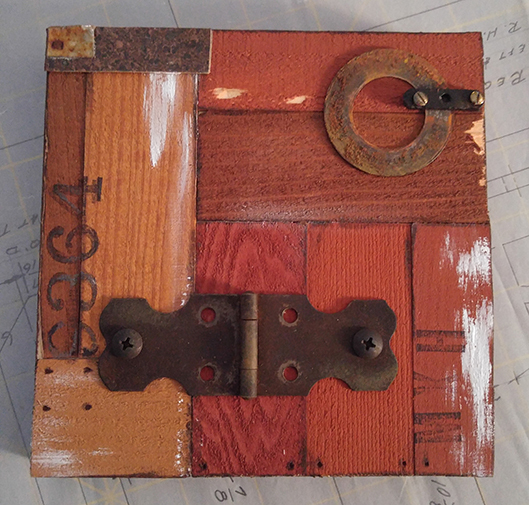 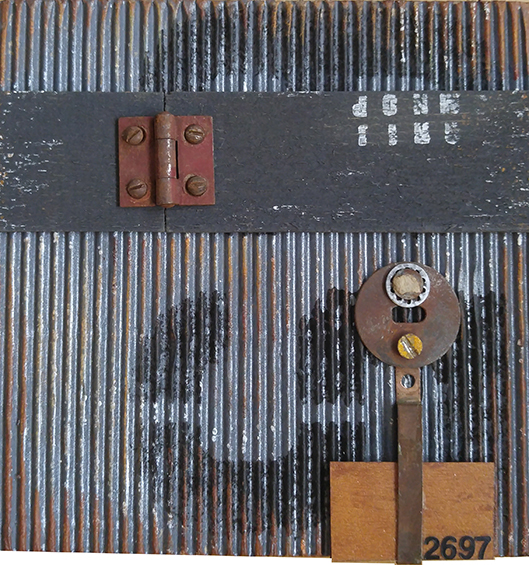 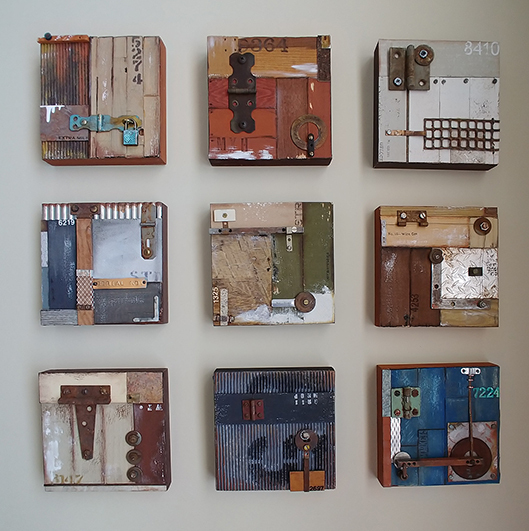 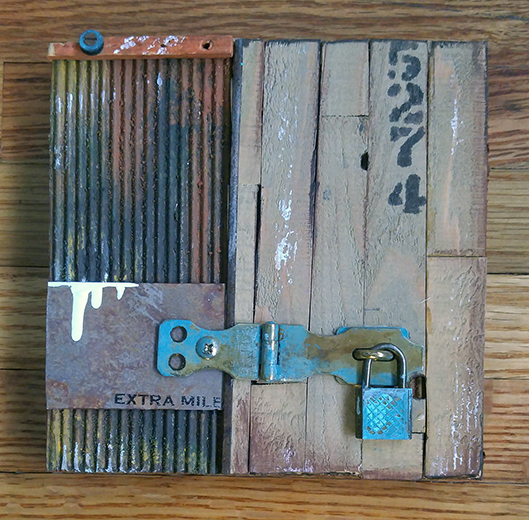 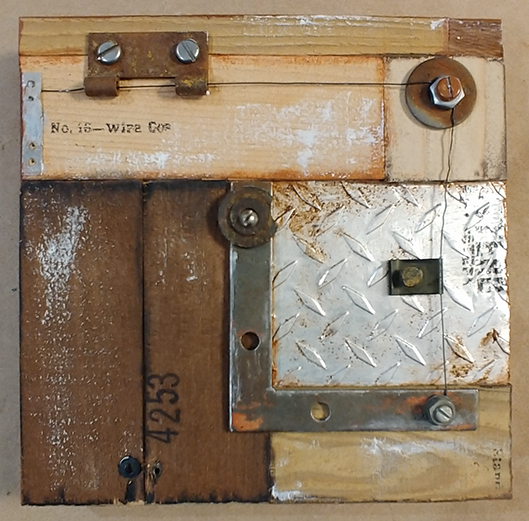 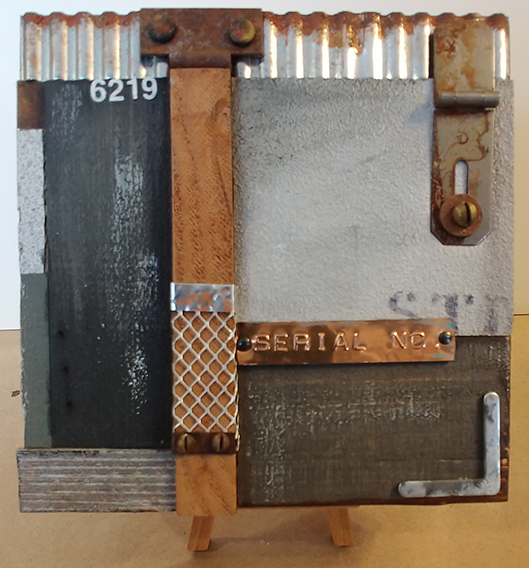 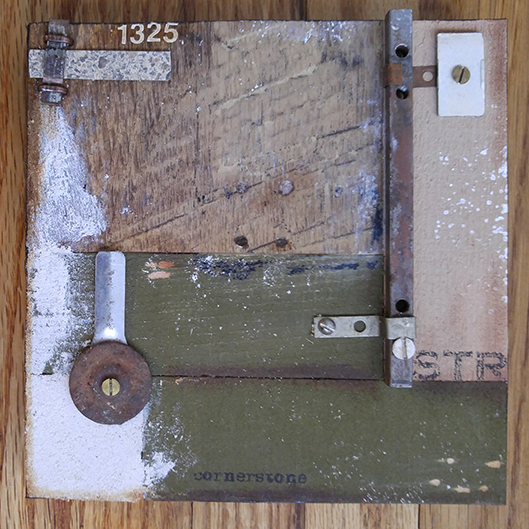 This mixed-media assemblage is made with pieces from my collection of building supply samples and found hardware.